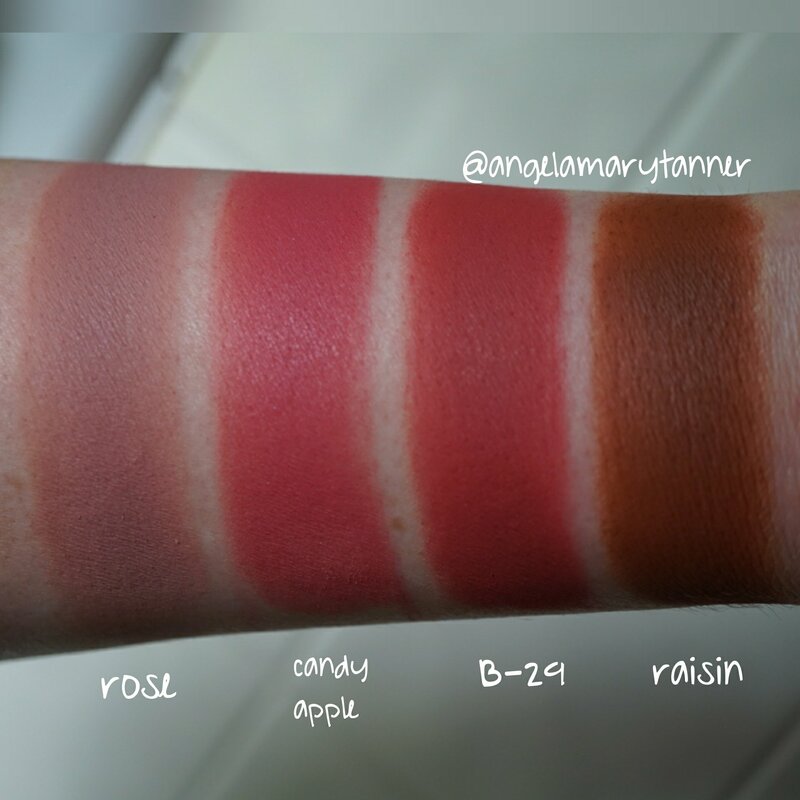 I recently reviewed the new Ofra Cosmetics matte eyeshadow palette and I wasn’t crazy about it but I’m happy to say that I love the blush palette! 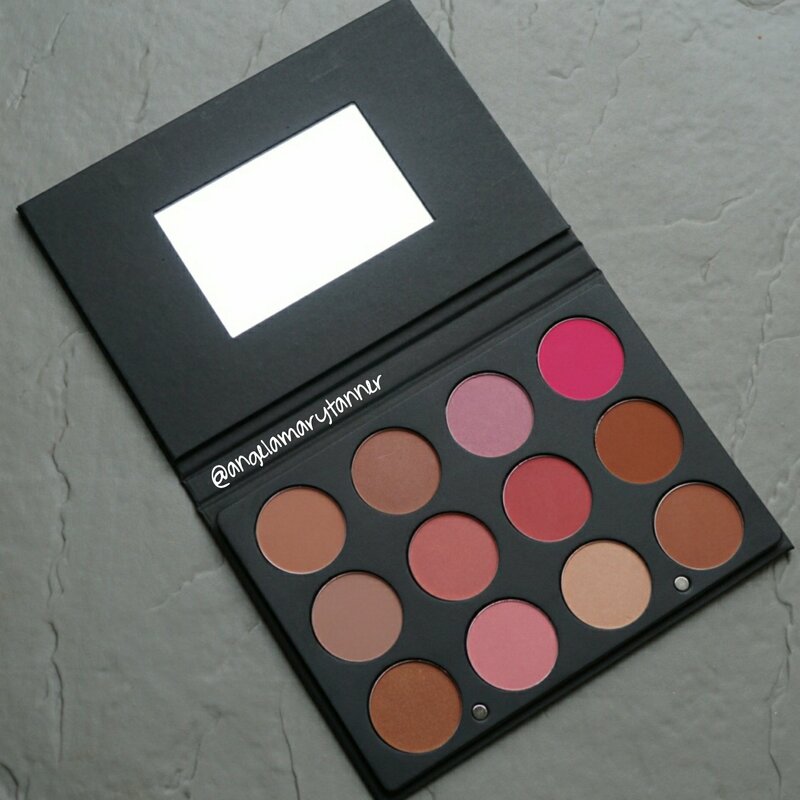 The design is the same as the eyeshadow palette. Very compact with magnetic closures, a mirror and removable pans. It’s $79 but you can use our affiliate code BEAUTYCULT to save 30% which brings the price down to $55. 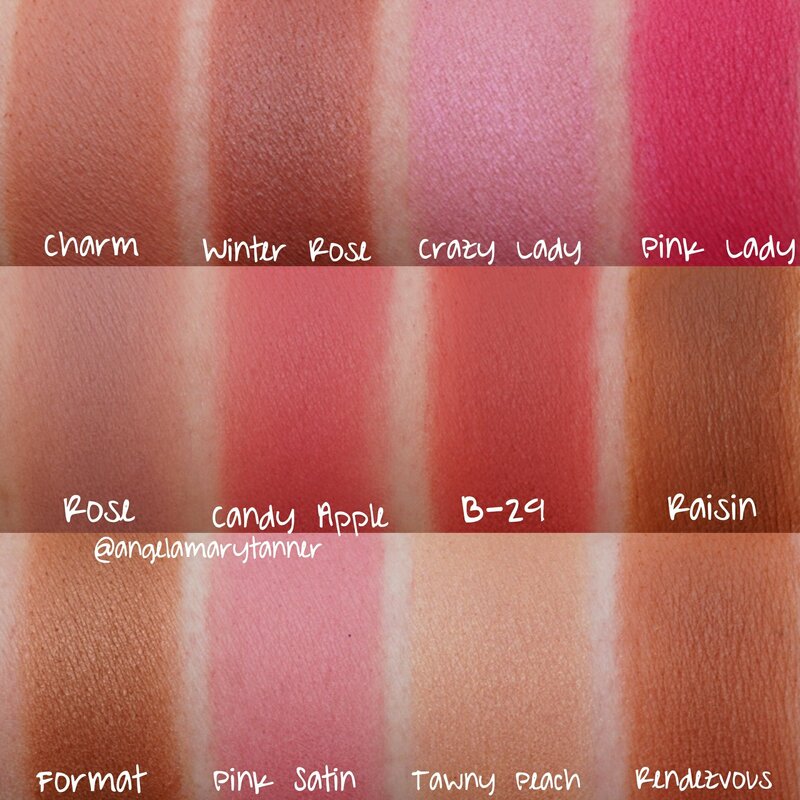 The blushes are sold individually for $12 so the palette is a pretty good deal. The only complaint that I have about the packaging is the lack of labeling. I had to look up the names on the website again, same as with the eyeshadow palette. Charm is a medium dark, peachy tan with a matte finish. 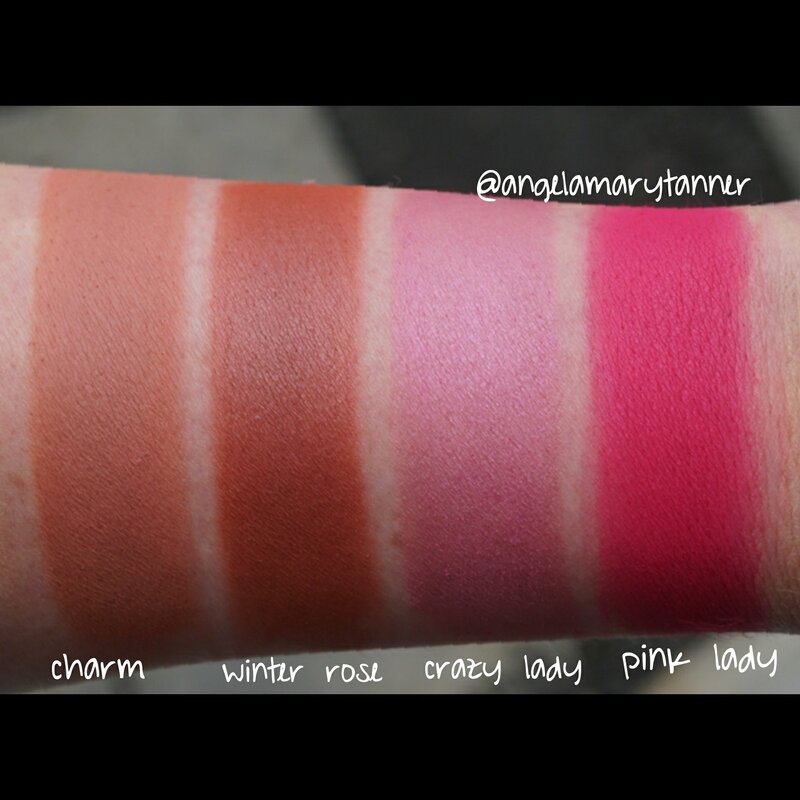 Winter rose is similar to Charm but it’s a little deeper with a satin finish. Crazy lady is a pinky lavender with a satin finish. 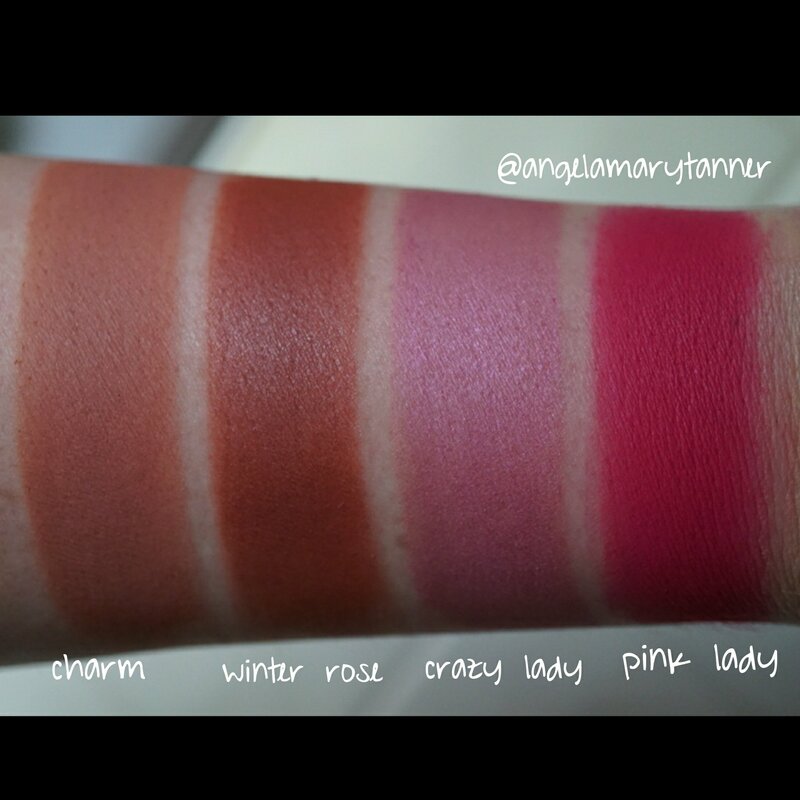 Pink lady is BRIGHT pink matte. It’s texture feels a little more dry than the rest of the palette but the pigmentation is bananas. It’s way too bright for my fair skin but it would be beautiful on brown skin. 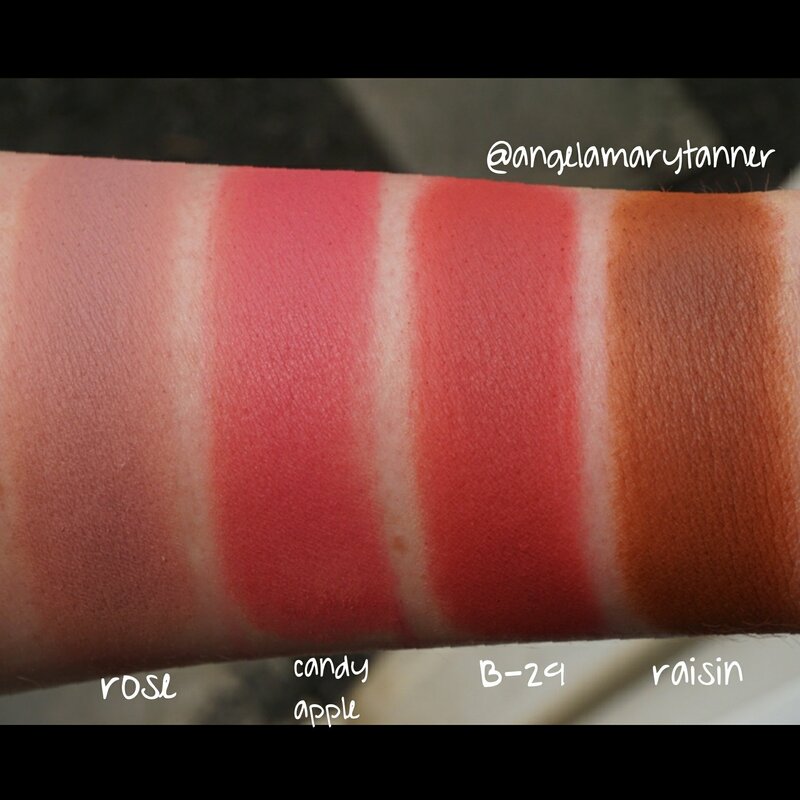 Rose is a matte dusty mauve. Candy apple is medium peachy coral with a matte finish. B-29 is similar to Candy Apple but deeper and slightly more terracotta. Raisin is a medium dark, warm brown with a satin finish. I’ve been using it as bronzer. Format is a shimmery bronze that I’ve also been using as a bronzer. Pink satin is light neutral pink. 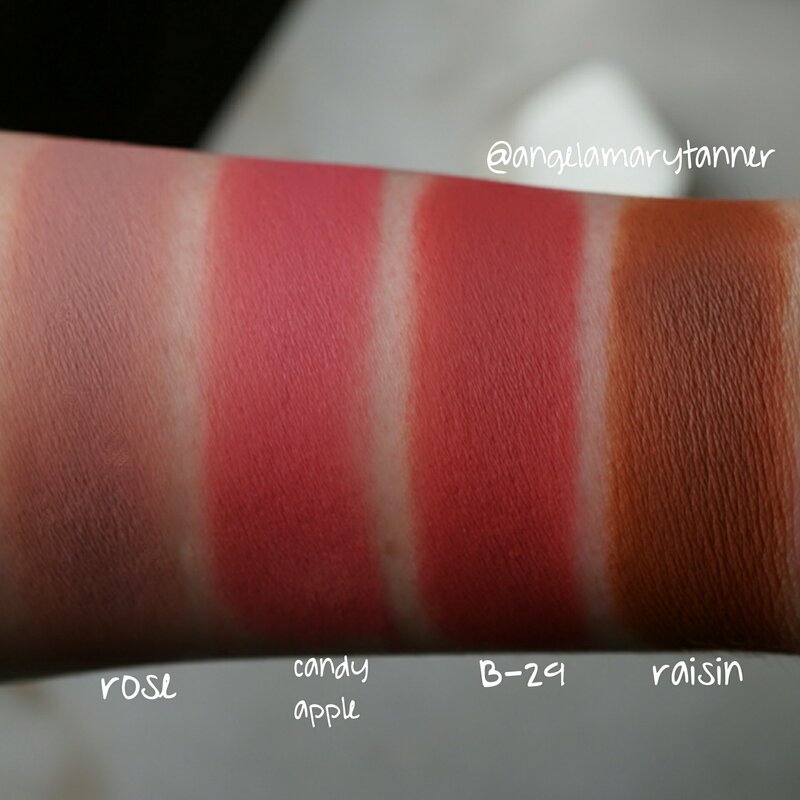 It’s more matte than satin and the formula is extra creamy and rich. 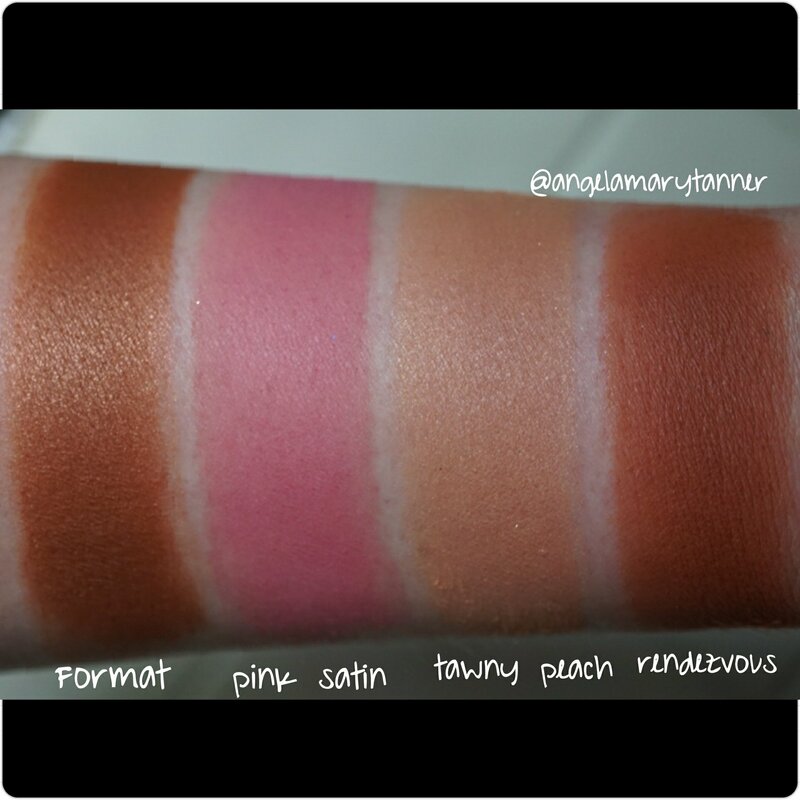 Tawny peach is a light peachy satin. It’s more like a very subtle highlighter on me. Rendezvous is a matte reddish brown. I’ve been using this one as a bronzer as well. I love everything about this palette. The mixture of warm and cool tones and finishes make it very versatile. Someone with a light medium complexion like myself can use it for blush, bronzer and eyeshadow. The pigmentation is perfect. 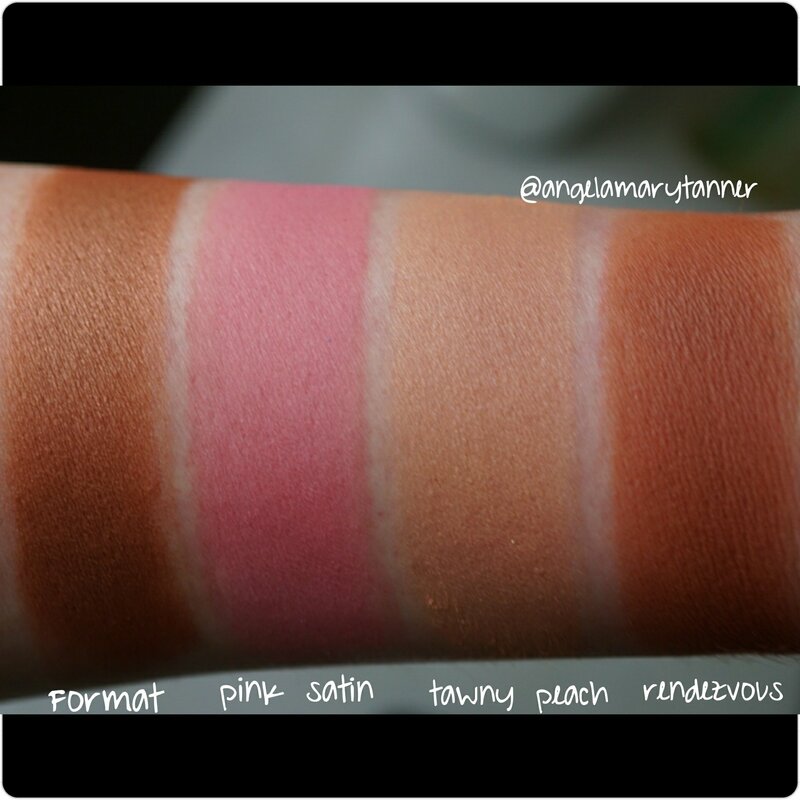 They have nice color pay off but it’s buildable which I prefer in a blush. With the exception being Pink Lady. That one is stupid pigmented. 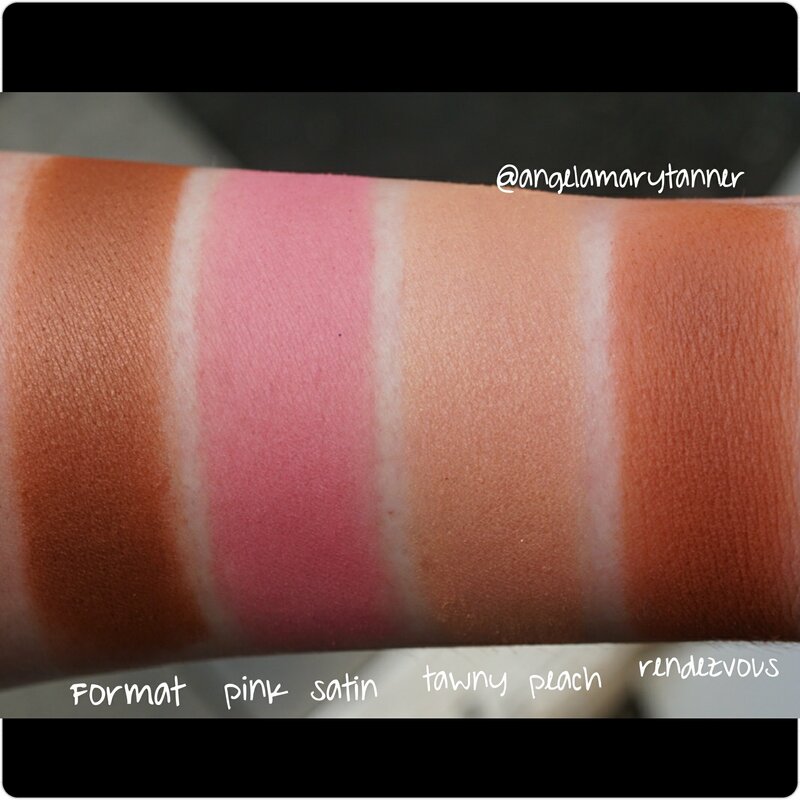 I would recommend this palette for light to tan skin tones. 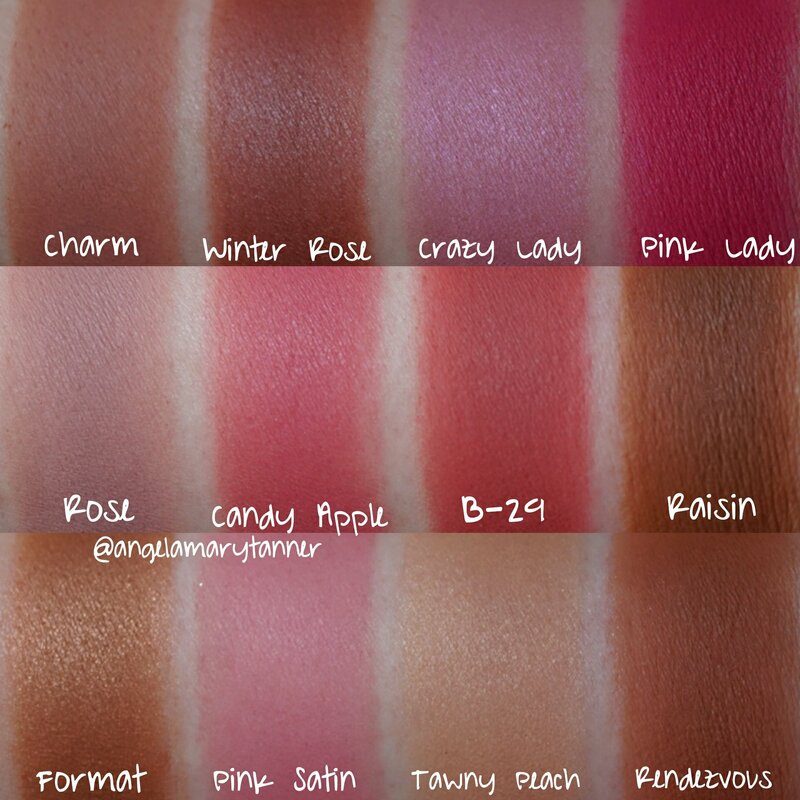 There are certainly some colors that would suit deeper complexions but there would be a lot of colors that wouldn’t be usable as blushes. Overall it’s a great palette for me. It is an investment at $55 but you get a lot of product and a lot of colors! These are so pretty, I love that their are lots of choices.